For some Fall means picking apples, visiting the pumpkin patch, hiking while marveling at the beautiful color-changing leaves. For me, Fall means the start of soup season. Now, don’t get me wrong. I can eat soup year round. But there’s just something about Fall and the start of soup season. When it’s cold outside, you really just want something that will warm you up. Soup is warm, comforting, and usually pretty easy to throw together. You can let it simmer through your house, filling up the air with yummy goodness. You can throw everything into the crockpot and let it cook all day while you go about your business. 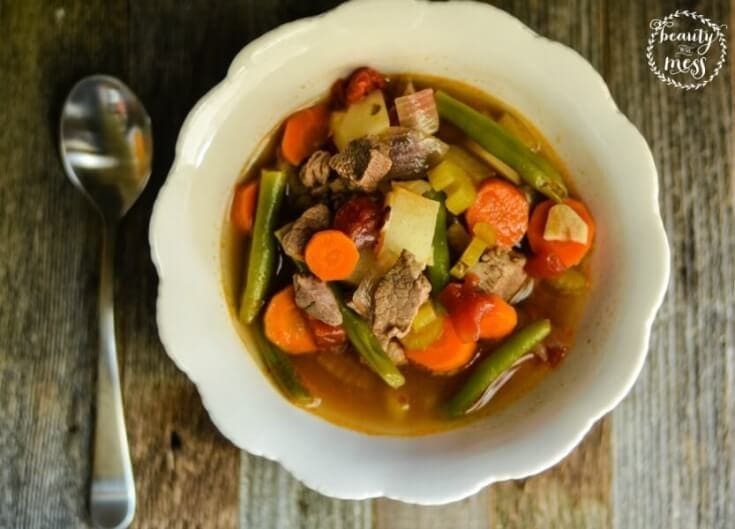 Soup is a great way to get your littles to eat foods they normally wouldn’t. Depending on the soup, sometimes we let our children eat their soup through a straw. Strange? A little. It doesn’t work for all soups, but they love it and eat every last drop. 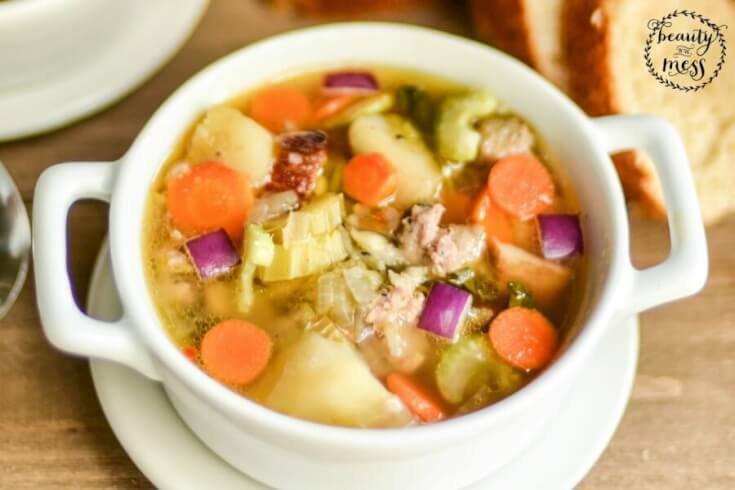 I love soup so much I wanted to share with you my favorite soup recipes. So without further ado, here are 4 delicious soup recipes for Fall, Winter, and anytime you want some soup. Zuppa Toscana Soup – my absolute favorite. The kale and red pepper flakes make this soup. YUM! 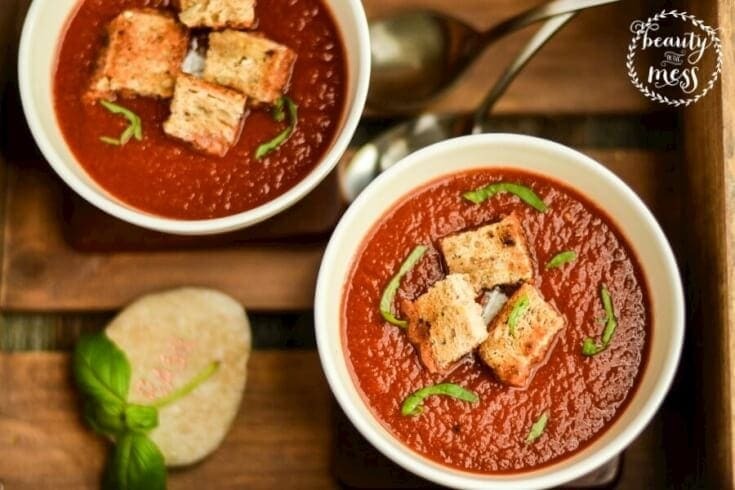 Easy Tomato Basil Soup – SO easy. This is my husband’s favorite. It’s good and I’ll eat it, but I’m not a huge tomato fan. 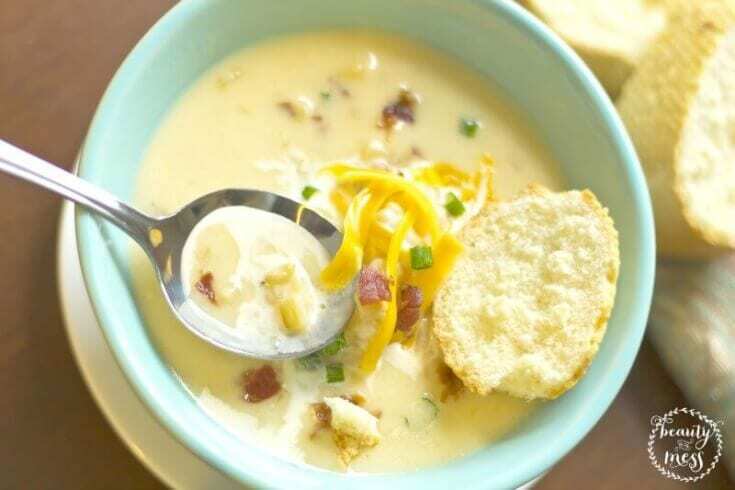 Warm and Cozy Potato Soup – easy, warm, and delicious. It doesn’t get much better than that. Slap Yo’ Mama it’s SO Good Vegetable Beef Soup – Okay, I lied. THIS is my favorite soup. Well, maybe it’s tie. I could eat both Slap Yo’ Mama It’s SO Good Vegetable Beef Soup and the Zuppa Toscana Soup almost every day if I had to. They are both so delicious. 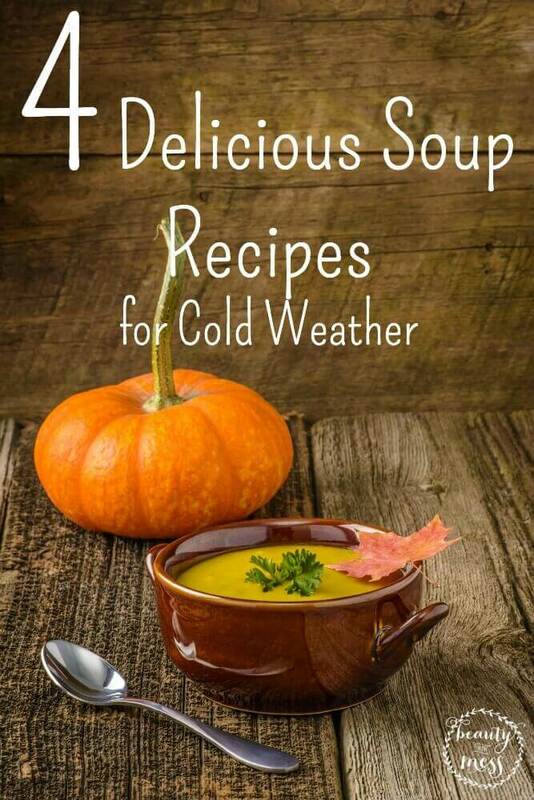 I hope you enjoy my favorite soups for Fall and Winter. Let me know which ones you tried and how you liked them! What is your favorite soup to eat when it’s cold outside?